Ph. D in Development Studies (2004), Institute of Development Studies (IDS), University of Mysore, Manasagangotri, Mysore. Title of the Thesis: “Impermanent Migration to the City: A Survival Strategy of the Poor”. M. A in Geography (1984), University of Mysore, Manasagangotri, Mysore. Book entitled “Challenges in Achieving Food Security in India”, Niruta Publications, Bengaluru (Karnataka), (Editor, along with co- edited by S. C. Shivashankar, Dr. Mohan Das, Mr. Ananda K. D. and Ms. Latha J), 2016. Book entitled “Women Empowerment: Challenges in the 21st Century”, Nootan Publications, Varanasi (UP), (Author and editor, along with co- edited by Dr. Mohan Das and Mr. Nagesh R), January, 2015. Book entitled “Sabaleekaranada Haadiyalli Mahile”, Nootan Publications, Varanasi (UP), (Author and editor, along with co-edited by Dr. Mohan Das and Sudhakara H), January, 2015. National Seminar Proceeding entitled “Women Empowerment – Then and Now: A Social, Historical, Economic and Political Perspective”, Ankanahalli Prakashana, Ramanagara, (Author and chief editor, along with co-chief edited by Dr. Mohan Das and Mr. Nagesh R), October, 2014. Book entitled “Karnatakada Sarvatomukha Pragatiya Vividha Aayamagalu”, Global Research Publications, New Delhi, (Lead authors and editor, along with co-edited by Dr. Jayasheela), January, 2013. Women Empowerment and Political Participation in India, in an edited book by Dr. Mohan Das, Dr. M. Lingaraju and Mr. Nagesh R., “Women Empowerment: Challenges in the 21st Century”, Nootan Publications, Varanasi (UP), pp. 117-124, (with Dr. Siddaraju C. and Dr. Mohan Das), January, 2015. Budakattu Alemaari Mahileyara Jeevana Kramagalu: Ondu Adhyayana, in an edited book by Dr. Mohan Das, Dr. M. Lingaraju and Dr. Sudhakara H, “Sabaleekaranada Hadiyalli Mahile”, Nootan Publications, Varanasi (UP), pp. 139-144, (with Dr. Mohan Das), January, 2015. 21ne Shatamanada mahile abaleyalla sabale mattu prabale, in an edited National Seminar Proceeding by Dr. Mohan Das, Dr. M. Lingaraju and Mr. Nagesh R, “Women Empowerment – Then and Now: A Social, Historical, Economic and Political Perspective”, Ankanahalli Prakashana, Ramanagara, pp. 429-432, (with Dr. Mohan Das), October, 2014. Fertility Transition in Karnataka: Differentials and Determinants, `The Journal of Family Welfare’, Vol. 58, No. 2, December 2012, pp. 9 – 24, Published in June, 2013 and Received July, 2013 (with Prof. K. S. James). Karnatakada Pragatiyalli Aarogya mattu Kutumba Kalyana Sevegala Nirnaayaka Paatra, in an edited book by Dr. M. Lingaraju and Dr. Jayasheela, "Karnatakada Sarvatomukha Pragatiya Vividha Aayamagalu", Global Research Publications, New Delhi, pp. 305-342, January, 2013. Karnatakada Pragatige Saarige mattu Samparkada Koduge: Ondu Avalokana, in an edited book by Dr. M. Lingaraju and Dr. Jayasheela, "Karnatakada Sarvatomukha Pragatiya Vividha Aayamagalu", Global Research Publications, New Delhi, pp. 127-145, (with Dr. H. N. Shivamurthy), January, 2013. Swa-sahaaya Gumpugalu mattu Avugala Kaaryachatuvatikegalu: Pragati Pathadedege Karnataka Raajyada Mahilaa Sabaleekarana, in an edited book by Dr. M. Lingaraju and Dr. Jayasheela, "Karnatakada Sarvatomukha Pragatiya Vividha Aayamagalu", Global Research Publications, New Delhi, pp. 211-238, (with Dr. Jayasheela), January, 2013. Karnatakada Vyavasaaya mattu Neeraavari Vyavashte: Pragatiyatta Ondu Hejje, in an edited book by Dr. M. Lingaraju and Dr. Jayasheela, "Karnatakada Sarvatomukha Pragatiya Vividha Aayamagalu", Global Research Publications, New Delhi, pp. 93-118, (with Dr. H. N. Shivamurthy), January, 2013. Universal Literacy: A Dream or a Reality, in an edited by Prof. Parvinder S. Sandhu and Prof. E. Muzenda, “International Conference Proceeding of PSRC”, Planetary Scientific Research Centre, Dubai (UAE), pp. 112-116, December, 2012, (Under SRTT Financial Support). Urbanization and Proliferation of Slums: An Overview, in an edited book by Dr. Jayasheela, Dr. Ravindra Kumar B and Dr. Vilas M. Kadrolkar, "Urbanization and Economic Transformation: Issues and Challenges", Global Research Publications, New Delhi, pp. 92-112, November, 2012. Health Care Status in Karnataka: A Situational Analysis, in an edited book by Vilas M. Kadrolkar, Dr. Jayasheela and Dr. Ravindra Kumar B, "Economic Paradigms of Healthcare in India", Global Research Publications, New Delhi, pp.34-52, June, 2012. Indian Rural Markets: A Competitive Edge in Tapping Potentiality of Rural India, in an edited book by Dr. Jayasheela, Dr. V. B. Hans, Dr. Ravindra Kumar B and Dr. Vilas M. Kadrolkar, "Agricultural Marketing in India- Directions for Development", Serials Publications, New Delhi, pp.1-16 (with Dr. Kiran Kumar and Dr. Jayasheela), June, 2012. Impermanent Migration to Urban Areas: Its Causes and Consequences with Special Reference to Bangalore City, 2012, in an edited book by V. Rama Krishna, "Sustainable Rural Development: The Politics of Identity and Development (SRDPID)", S P Surya, Page Turners, Surya Infotainment Products Pvt. Ltd. Bangalore, pp.213 -233. Karnataka’s Development in Health Sector: An Overview, 2012, in an edited book by Dr. Jayasheela, Dr. V. B. Hans, Dr. Ravindra Kumar B and Dr. Vilas M. Kadrolkar, "Service Sector in India A Sectoral Analysis", Global Research Publications, New Delhi, pp.218 -229 (with Dr. Dhananjay W. Bansod). Mahileyara Sabaleekarana: Andu – Indu Swa-Sahaaya Gumpugala Moolaka Ondu Saadhaneya Nota, 2012, in an edited book by Dr. Jayasheela, Dr. Ravindra Kumar B and Dr. Vilas M. Kadrolkar, "Mahilaa Sabaleekaranadalli Swa-Sahaaya Gumpugala Paatra Ondu Arthika Vishleshane", Global Research Publications, New Delhi, pp.75 -114 (with Dr. Jayasheela). Health Care Utilization in Karnataka State: A Regional Perspective, International Geography, the Deccan Geographer, Vol. 47, No. 2, December, (2009), The Deccan Geographical Society, Dr. B. C. Vaidya, Department of Geography, University of Pune, pp. 17 – 27 (with Dr. Dhananjay W. Bansod). Pravasodyama Mattu Mahile, 2007, in an edited book by Jayasheela, Showkath Ali M. Megalamani and Sudhakara S, "Mahile Mattu Abhivruddhi", Kisan Publications, Mangalore, pp.143-150 (with Dr. Harish N). Rural-Urban Linkages: Does the Impermanent Migration to Cities Help the Rural Poor, `Journal of Nagarlok’, Vol. XXXVII, No, 1, January – March, (2005), Centre for Urban Studies, The Indian Institute of Public Administration, New Delhi, pp. 9 – 20 (with Dr. M. Johnson Samuel). Causes for Rural-Urban Migration: A Study of Repeat Movers in the City of Bangalore, `Journal of Urban India’, Vol. XXIV, No. 2, July – December, (2004) National Institute of Urban Affairs, New Delhi, pp. 33 – 56 (with Dr. M. Johnson Samuel). Regional imbalance in higher education widen in State, `Deccan Herald’, Sunday, July 07, 2000 (with Dr. M. Johnson Samuel). Has Abolition of Targets Improve the Quality of Family Planning and Health Services? A Survey in Karnataka, `Journal of Health Management’, Vol. 2, No. 1, January-June, (2000), Sage Publications, New Delhi, pp. 99 – 112 (with Dr. M. Johnson Samuel and Mr. P. Prabhuswamy). Structural Adjustment Programmes and Widening of Inter-District Disparities in Higher Education in Karnataka, `The Indian Geographical Journal’, Vol. 73 (2), December 1998, pp. 96 – 109 (with Dr. M. Johnson Samuel). Utilisation of MCH and Family Planning Services by a Scheduled Caste Community in Mysore District, `The journal of Family Welfare’, Vol. 44, No. 2, June 1998, pp. 28 – 36. Karnatakadalli Aarthika Saadhana Sampattugalu: Samasyegalu Haagu Nireekshegalu, 1997, in a edited book by Abdul Aziz and Vasuki K G, "Kannada Adhyayana Karnatakada Aarthikathe", Kannada University, Hampi, pp.38 – 61 (with Dr. M. Johnson Samuel). Demographic Transition in the South: A Regional Perspective, `Demography India’, Vol. 25, No. 2, July-December, 1996, pp. 155 – 176 (with Prof. P. H. Rayappa). Socio-economic Condition of the Houseless population in Rural areas, `The Indian Journal of Social Work’, Vol. 57, Issue 2, April 1996, pp. 221-233 (with Dr. M. Johnson Samuel and Dr. T. N. Bhat). Differential acceptance of Family planning methods in a High performance District in Karnataka, `The Journal of Family Welfare’, Vol. 40, No. 2, June 1994, pp. 31 – 39 (with Dr. K. N. M. Raju et al). Anganwadis and Immunisation, `Social Welfare’, Vol. XL, No. 1, April 1993, pp. 30 – 31. Parishishta pangadagala janara Aarogya: Dakshina Kannada Jilleyalli Ondu Adhyayana (Kannada), `Yojana’, Vol. 8, No. 7, February 1993, pp. 28-31. Bangalore: A city of Migrants, `Loyala Journal of Social Sciences’, Vol. VI, No. 2, July – December 1992, pp. 26-43 (with Dr. M. Johnson Samuel). Migration to Bangalore, `Deccan Herald’, Saturday, October 28, 1989 (with Dr. M. Johnson Samuel). “Causes and Consequences of Impermanent Migration to Urban Areas: A Case of Bangalore City in Karnataka”, (Demography of India). “Karnataka Rajyada Aarogya Sthitigati”, a paper in Kannada for “Kanasina Karnataka” in an editorial book to be published by Suvarna Karnataka Samputa Sampadaka Mandali, Government of Karnataka. Presented a paper on “Health, Food System and Beliefs among Iruliga Tribal Community” (in Kannada), in the Technical Session – I under the Sub Theme of “Food System and Beliefs” in a Two Days National Seminar on “Indian Traditional Food Systems”, held at the Dept. of Anthropology, Kannada University, Hampi in Collaboration with Anthropological Survey of India, Kolkata, during December 22–23, 2014. Presented a paper on “21ne Shatamanada mahile abaleyalla sabale mattu prabale”, in the Technical Session – VI A under the Sub Theme of “Working Women and Challenges” in a Two Days National Seminar on “Women Empowerment – Then and Now: A Social, Historical, Economic and Political Perspective”, held at Govt. First Grade College, Ramanagara, during October 14–15, 2014. Presented a paper on “Migration as an Impediment or Facilitator: The Critical Links”, in the Technical Session – III under the Sub Theme of “Analyses of Rural and Urban Relationships” in a 2 Days National Seminar on "Higher Education and Rural Development", held at the Karnataka Janapada Vishwavidyalaya, Gotagodi, Shiggaon Taluk, Haveri District, during March 27–28, 2014. Presented a paper on “Women’s Employment and Empowerment through Fertility Transition: Insights from Karnataka”, in the Technical Session – II B under the Sub Theme of “Women in the Service Sector and Health Issues” in an UGC Sponsored National Seminar on "Women in Service Sector: Career Opportunities and Challenges", held at the Department of Social Sciences, BMS College for Women, Basavanagudi, Bangalore, during October 24–25, 2013. Presented a paper on “Universal Literacy: A Dream or a Reality”, in the Technical Session – I (ICEASM’2012) 1-3 Part – 1, in an “International Conference”, organized by the Planetary Scientific Research Centre, at Dubai (UAE), during December, 26-27, 2012, (Under SRTT Financial Support). Presented a paper on “Urbanization and Proliferation of Slums: An Overview”, in the Technical Session – II under the Sub Theme of “Migration and Regional Disparities” in an International Conference on "Urbanization and Economic Transformation: Issues and Challenges", held at the P G Department of Economics, Tumkur University, Tumkur, during October 12–13, 2012. Presented a paper on “Health Care Status in Karnataka: A Situational Analysis”, in Parallel Session – 1 under the Sub Theme of “Health Care System, Status and Trends in India” held at the National Conference on Economic Paradigms of Health Care in India: Issues and Challenges in the P G Department of Economics, Tumkur University, Tumkur, May 11, 2012. Presented a paper on “Fertility Transition in Karnataka: A Fresh Look” in the Technical Session – 5 under the Sub Theme of “Fertility and Family Planning – I” in a National Seminar on “Demographic Transition and Inclusive Development” held at Kolkata during 15–17 March, 2012 organized by International Institute for Population Sciences (IIPS), Mumbai in collaboration with Indian Statistical Institute (ISI), Kolkata. Presented a paper on “Impermanent Migration to Urban Areas: Its Causes and Consequences with Special Reference to Bangalore City” in the Technical Session – 1 under the Sub Theme of “Migration and Rural Sustainability” at One Day National Conference on Sustainable Rural Development: The Politics of Identity and Development (SRDPID) at P G Department of Political Science, Tumkur University, Tumkur, December 8, 2011. Presented a paper on “Indian Rural Markets: A Competitive Edge in Tapping the Potentiality of Rural India” in the Technical Session - 3, Concerns and Prospectus of Agricultural Marketing at a National Conference on Agricultural Marketing in India: Directions for Development at P G Department of Economics, Tumkur University, Tumkur, December 1, 2011. Presented a paper on “Rural-Urban Linkages: Does the Impermanent Migration Help the Rural Poor” at a seminar on Political Economy of Migration organised by Ecumenical Christian Centre, Whitefield, Bangalore, August 17 – 19, 2001. Presented a paper on “Infrastructure Development in Karnataka State – An Appraisal” at the one day National Level Seminar on `ISSUES ON INFRASTRUCTURE DEVELOPMENT IN INDIA’ organised by Karpagam Arts and Science College and Co-Sponsored by State Bank of India held at Karpagam Arts and Science College Campus, Coimbatore, October 1, 1997. Presented a paper on "Economic Infrastructures in Karnataka: Problems and Prospects" at a Seminar on Karnataka Economy, (in Kannada), Organised by Hampi Kannada University, Hampi, November 13 – 14, 1995. Presented a paper on "Socio-economic Conditions of the Houseless people in Rural areas", XVII Annual Conference of IASP, Annamalai University, December 16 – 18, 1993. Presented a paper on Role of Anganwadis in promoting Immunisation Activities, at ISEC, September 14, 1988. Attended & participated in the seminar presentation and discursion entitled “2nd Half Yearly Monitoring Report on SSA-RTE and MDM Implementation for the State of Karnataka, in Bidar, Belgaum, Dharwad, Gadag, Davanagere, Kolar and Shivamogga Districts” on July 28, 2015 at the State Project Director’s Office, SSA, Government of Karnataka, Bengaluru, (with Dr. K. S. Umamani and Dr. Indrajit Bairagyai). Attended & participated in the seminar presentation and discursion entitled “Monitoring of SSA and MDM Implementation, First and Second Phase Project in Mandya, Kodagu, Udupi and Raichur & Mysore, Hassan, Tumkur and Chikkaballapur Districts” on November 17, 2014 at the State Project Office, SSA, Government of Karnataka, Bangalore, (with Dr. K. S. Umamani and Dr. Indrajit Bairagyai). Attended & participated in a Workshop and Panel Discussion on “What Teachers Do” on December 30, 2013 at Educators International and RV Educational Consortium, Jayanagar II Block, Bangalore organized by Institute for Social and Economic Change and Educators International and RV Educational Consortium, Jayanagar II Block, Bangalore. Attended & participated in a One-day Workshop on “Karnataka Geographical Information Systems (K-GIS)”, on January 23, 2013 at Hotel Atria, Bangalore, organized by the Karnataka State Remote Sensing Applications Centre (KSRSAC), Department of Information Technology and Biotechnology, Government of Karnataka and Karnataka Jnana Aayoga, Government of Karnataka. Attended & participated in a Two-day UGC Sponsored National Seminar on “Teaching Social Sciences: Challenges and Opportunities in the New Millennium” on November 30, 2012 at St. Joseph’s College, Bangalore. Attended & participated in a UGC Sponsored Two-day National Level Seminar on “Marriage System in India: Issues and Challenges” on October 20, 2012 at Government Arts College, Hassan. Attended & participated in a Two-day National Seminar on “Dimensions of Urbanization- Challenges and Opportunities” on October 19, 2012 at SBRR Mahajana First Grade College, Jayalakshmipuram, Mysore organized by the Departments of History, Economics, Geography and Sociology of Mahajana’s, Mysore in collaboration with Institute of Development Studies, University of Mysore, Mysore. Attended & participated in a National Seminar on “Sustainable Social Development in India: New Vistas and Challenges” on October 04, 2012 at Karnataka State Higher Education Council, Palace Road, Bangalore organized by the Karnataka State Higher Education Council and Centre for Rural Poverty Alleviation and Community Development, Tumkur University, Tumkur. Attended & participated in the seminar entitled “Monitoring of SSA and MDM Implementation, Second Phase Project in Belgaum, Haveri, Chamarajanagar, Ramanagar and Uttara Kannada districts” on December 21, 2011 at the State Project Office, SSA, GoK, Bangalore, (with Prof. M. D Usha Devi). Participated as Delegate in one day workshop on “Women Empowerment in India: Role of Self Help Groups – An Introspection”, held on October 21, 2011 at P G Department of Economics, Tumkur University, Tumkur. Attended & Involved in Training Programme for Monitoring SSA & MDM Implementation in Elementary Schools for Field Investigators of SSA monitoring, Second Phase Project on July 28-29, 2011 at ISEC. Attended & participated in the seminar entitled “Monitoring of SSA and MDM Implementation, First Phase Project in Bangalore Rural, Chikmagalur, Chitradurga, Kodagu and Tumkur districts” on May 25, 2011 at the State Project Office, SSA, GoK, Bangalore, (with Prof. M. D Usha Devi). Attended “Diamond Jubilee Lecture Series” at Karnataka Public Service Commission premises, organised by Karnataka Public Service Commission, Bangalore on the mark of 60 years of Diamond Jubilee Celebrations on 18th May, 2011. Attended & Involved in Training Programme for Monitoring SSA & MDM Implementation in Elementary Schools for Field Investigators of SSA monitoring, First Phase Project on January 17-19, 2011 at ISEC. Attended three days “XXXI Indian Geographer’s Meet (IIG) and International Conference on Environment, Agriculture and Food Security in India” at the P.G. Department of Geography, Bangalore University, Bangalore – 560 056, February 19 – 21, 2010. Attended three days Training programmes for Investigators and Supervisors of `Coverage Evaluation Survey (CES) 2009 – Monitoring’ at the Hyderabad Vyshya Youth Association, Khairathbad, Andhra Pradesh, November 21 – 23, 2009. Attended two days Training of the Trainers (TOT) workshop on `Coverage Evaluation Survey (CES) 2009 – Monitoring’ at the Gautam Residency, E – 54, Greater Kailash – 1, New Delhi, September 24-25, 2009. Attended five days Training Course on `Monitoring under NRHM/RCH’ at the Department of Planning and Evaluation, National Institute of Health and Family Welfare (NIHFW), New Delhi, August 3 – 7, 2009. Attended Two days Workshop on `Application of Geographic Information Technology’ at the Department of Geography and Geo-informatics, Bangalore University, Bangalore, March 23 – 24, 2009. Study on Global Ageing and Adult Health (SAGE) – 2007, Training of Trainers (TOT) Workshop at IIPS, Mumbai from 19 February – 3 March, 2007. Attended Three Days Training Programme” In Computer Application for Development Projects” at AMOS Centre, Kottayam, Kerala from 1st – 3rd July, 2004. Attended the National Seminar on “WTO and the Banking Sector in India” on February 16th and 17th 2004 organised by Corporation Bank Chair in Bank Management, Mangalore University, Mangalore. Attended workshop on “Functional Review of Department of Health and Family Welfare” on October 11, 2001, Organised by Karnataka Administrative Reforms Commission and Ford Foundation at IPP Training Centre, Malleswaram, Bangalore. Attended three days Training Programme on “POPLINE Bibliographic Reproductive Health Database” sponsored by IIPS, Mumbai at ISEC – Bangalore, during 23rd – 25th May, 2001. Invited and attended IASP Millennium Conference on `Population Development and Environmental Nexus' at New Delhi, on 13th – 16th February, 2000. Attended the XIX Annual IASP Conference on ‘Policy and Programme Implications of NFHS and 1991Census Results’ at Population Research Centre, M. S. University, Baroda on 26th – 28th February, 1996. Attended a training course on ‘Introduction to GIS’ at National Aerospace Laboratories, Bangalore on 9th – 10th January, 1996. Attended a workshop on ‘Cartographic Training Workshop’ at ISEC, Bangalore on 1st – 4th March, 1994. Chairperson in a Technical Session – II during One Day Inter – Disciplinary Self Financed National Seminar on “Vocationalization of Higher Education: Implications for various Departments”, held at Govt. First Grade College for Women, Ramanagara, on October 14, 2015. Chairperson in a Technical Session – VII B under the Sub Theme of “Food System and Health Protection” in a Two Days National Seminar on “Indian Traditional Food Systems”, held at the Dept. of Anthropology, Kannada University, Hampi in Collaboration with Anthropological Survey of India, Kolkata, during December 22–23, 2014. Chairperson in a Technical Session – VI B under the Sub Theme of “Working Women and Challenges” in a Two Days National Seminar on “Women Empowerment – Then and Now: A Social, Historical, Economic and Political Perspective”, held at Govt. First Grade College, Ramanagara, during October 14–15, 2014. Chairperson in a Technical Session – III B under the Sub Theme of “Women in the Service Sector: Challenges and Remedies” in an UGC Sponsored National Seminar on "Women in Service Sector: Career Opportunities and Challenges", held at the Department of Social Sciences, BMS College for Women, Basavanagudi, Bangalore, during October 24–25, 2013. Moderator in a Technical Session – III, Challenges and Opportunities at the National Conference on Demographic Dividend for India: Challenges and Opportunities at the P G Department of Economics, Tumkur University, Tumkur, July 31, 2012. Rapporteur, Technical Session – 1, Marketing Intermediaries and Price Mechanism at a National Conference on Agricultural Marketing in India: Directions for Development at P G Department of Economics, Tumkur University, Tumkur, December 1, 2011. Rapporteur, Session – I, Rural Health Programmes, Workshop for Panchayat President, Vice-president and Chief Executive Officers, Organised by the Department of Rural Development and Panchayat Raj, Government of Karnataka at ISEC, Bangalore, October 16 – 17, 2000. Rapporteur, Session – II, Marriage and Fertility Preferences, Second Seminar on National Family Health Survey - Karnataka at ISEC, Bangalore, April 22 – 23, 1997. Delivered a Speech ‘Mahileyara Sabaleekaranavalla, Purushara Samvedeekarana Indina Agatya (in Kannada)’, on the occasion of celebrating “International Women’s Day” organised by the Jeevika-Jeeta Vimukti Karnataka (NGO), # 1289, ISEC Main Road, Nagarabhavi Post, Bangalore on March 8, 2015. Delivered a Social Science Talent Search Scheme (SSTSS) promotional talk in the ‘Capacity Building Workshop for Plus two Students’, organised by the Department of Sociology, Maharani’s College, Bangalore on October 4, 2012. Delivered a lecture on “Scope and Importance of Research in Higher Education” (in Kannada) for students of Government First Grade College at Channarayapatna in Hassan District on the occasion of releasing of fortnightly “Artha Chilume Patrike” and “Special Lecture Series Celebrations” in the name of “Economic Thinkers Forum” on September 9, 2011. Delivered a special lecture on “Karnataka’s Development in Health Sector: An Overview” on the Issues related to Indian Economy at the Centre for Remedial Coaching for UG/PG Students belonging to SC/ST, Department of Economics, Mangalore University, Mangalagangotri, Mangalore, on September 16, 2009. Delivered a special lecture on “Fertility Transition in Karnataka: A Present Scenario” on the Issues related to Indian Economy at the Centre for Remedial Coaching for UG/PG Students belonging to SC/ST, Department of Economics, Mangalore University, Mangalagangotri, Mangalore, on September 17, 2009. One of the Coordinator for the Project Sarva Shiksha Abhyan (SSA) in Karnataka. Sarva Shiksha Abhyan (SSA) Monitoring in Karnataka: Phase 3 covering four districts of Karnataka viz. Kolar, Shimoga, Bidar, Belgaum, Gadag, Dharwad and Davanagere (with Dr. K. S. Umamani and Dr. Indrajit Bairagya), 1st November, 2014 – 30th April, 2015. Sarva Shiksha Abhyan (SSA) Monitoring in Karnataka: Phase 2 covering four districts of Karnataka viz. Mysore, Hassan, Tumkur and Chikkaballapur (with Dr. K. S. Umamani and Dr. Indrajit Bairagya), 1st April, 2014 – 31st October, 2014. Sarva Shiksha Abhyan (SSA) Monitoring in Karnataka: Phase 1 covering four districts of Karnataka viz. Mandya, Kodagu, Udupi and Raichur (with Dr. Padma Sarangapani, Dr. K. S. Umamani and Dr. Indrajit Bairagya), 1st October, 2013 – 31st March, 2014. Demography of Schooling in Karnataka: A Study of Spatial and Temporal Dimensions (with Prof. M. D. Ushadevi), September, 2012. Fertility Transition in Karnataka: A Fresh Look, (with Prof. K. S. James), December, 2011. Rapid Appraisal of NRHM Implementation (Supported by Ministry of Health and Family Welfare, Government of India, New Delhi) (with Prof. K. S. James et al), April, 2010. Conducting Behaviour Change Impact Survey (BCIS) Phase 1 among Female Workers in selected Five Garment Companies in Bangalore, Karnataka focusing HIV Prevention as well as Treatment of Tuberculosis’ (with T. S. Syamala, Dhananjay W. Bansod and P. Prabhuswamy). 2008 – 09. Health Care Utilization in Karnataka: A Regional Perspective (with Dhananjay W. Bansod) September, 2008. National Family Health Survey – 3 (NFHS –3), Karnataka, (with Prof. K. S James et al). 2005 – 06. Reproductive and Child Health – District Level Household Survey (RCH – DLHS) – 2, Karnataka, 2002 – 04 (with Prof. K. N. M. Raju et al). Reproductive and Child Health – District Level Household Survey (RCH – DLHS) – 2, Kerala, 2002 – 04 (with Prof. K. N. M. Raju et al). Reproductive and Child Health – District Level Household Survey (RCH – DLHS) – 2, Goa, 2002-04 (with Prof. K. N. M. Raju et al). Functioning of Health and Family Welfare Training Institutions in Karnataka (with Dr. C. S. Veeramatha and Dr. A. Prakash Rao), September, 2002. Rapid Household Survey on Reproductive and Child Health (RCH) – Phase II, Karnataka and Kerala (with Prof. K. N. M. Raju et al), 2001. Rapid Household Survey on Reproductive and Child Health (RCH) – Phase II, Goa (with Prof. K. N. M. Raju et al), 2001. Gender and Family Planning Behaviour (with Dr. M. Johnson Samuel and Mr. P. Prabhuswamy), April, 2001. Regional Disparities in Higher Education in Karnataka, (with Dr. M. Johnson Samuel), 1999. Rapid Assessment of Family Welfare Programmes: A Survey of two Districts in Karnataka, (with Dr. M. Johnson Samuel and Mr. P. Prabhuswamy), December, 1998. Family Planning Acceptance and Utilisation of Maternal and Child Health Services among Selected Groups in Karnataka, (with Prof. P. H. Rayappa et al. ), November, 1997. Rapid Assessment Survey of Family Welfare Programmes in Kolar District of Karnataka State, (with PRC Staff), June, 1997. Utilisation of MCH and Family Welfare Services: Study of a Scheduled caste community in Mysore District of Karnataka State, January, 1997. Demographic Transition in the South: A Regional Perspective, (with Prof. P. H. Rayappa), August, 1995. Operational Research on Spacing Methods, Karnataka, (with Dr. M. Johnson Samuel), December, 1995. Evaluation of FP & MCH Programmes in Mandya District, (with Dr. K. N. M. Raju et al. ), 1994. Rural Houseless: A profile, (with Dr. M. Johnson Samuel and Dr. T. N. Bhat), 1994. An Evaluation Study of Health and Family Welfare programme among selected Scheduled Tribes in Dakshina Kannada District of Karnataka, (with Dr. R. Mutharayappa and Dr. A. Prakash Rao), 1992. Inter-state Migration and Linguistic Reorganisation of States in India, (with Dr. M. Johnson Samuel), 1991. Migration to Bangalore: An Analysis of Census Data, (with Dr. M. Johnson Samuel), 1989. Universal Immunisation Programme in Karnataka (With Dr. P. H. Rayappa and PRC staff), 1988. Leader of one of the Survey teams deployed for Rapid Household Survey on Reproductive and Child Health - Karnataka, 1998 – 99. Leader of one of the Survey teams deployed for National Family Health Survey - Karnataka, 1998 – 99. Leader of one of the Survey teams deployed for National Family Health Survey - Karnataka, 1992 – 93. Monitoring of Sarva Shikshana Abhiyana (SSA) and Mid-day Meal (MDM) Implementation in Karnataka, 2010 – 2011, Phase I, (with Prof. M. D. Usha Devi), 2011.
WHO – SAGE – India Project – 2007, `Study on Global Ageing and Adult Health’, (with Prof. K. S. James et al). End line Survey on Training, IEC and NGOs and Innovative Schemes, India Population Project – IX (Karnataka), Government of Karnataka (with PRC Staff), 2001-2002. Functional Review of Department of Health and Family Welfare (Karnataka Administrative Reforms Commission and Ford Foundation Project) - with Dr. T. V. Sekher and Mr. P. Prabhuswamy, 2001. Monitoring of `Coverage Evaluation Survey (CES) – 2009’ at Andhra Pradesh under the guidance of Ministry of Health and Family Welfare, Government of India as a Nominee from Population Research Centre, ISEC, Bangalore, November 21, 2009 to December 18, 2009. Co-ordinated the ‘ICSSR Sponsored Orientation Programme for Research Scholars and Faculty Members Belonging to Scheduled Tribes and Other Marginalized Groups under ST Component Plan at the Institute for Social and Economic Change (ISEC), Nagarabhavi P. O., Bangalore – 560 072, during March 14 – 17. 2016. Co-ordinated Two Week Faculty Development Programme on “Advancements in Social Science Knowledge Production: Approaches, Paradigms and Practices”, under the Fostering Linkages in Academic Innovation and Research (FLAIR), initiative of Government of Kerala, during February 15 – 27, 2016 organized by the Centre for Human Resource Development (CHRD) and Centre for Studies of Social Change and Development (CSSD) of the Institute for Social and Economic Change (ISEC), Nagarabhavi P. O., Bengaluru – 560 072 (with Dr. Sobin George). Organized and conducted the SSTSS Examination in 20 Centres of Bangalore Division as a joint undertaking of ISEC, Bangalore University and Christ University, on January 31, 2016. Organized Two Days Orientation and Scholarship Distribution Programme to the Selected Meritorious Students under Social Science Talent Search Scheme (SSTSS), a joint collaborative programme of the Institute for Social and Economic Change, Bangalore University and Christ University, Bengaluru at ISEC, Bengaluru on January 09 – 10, 2016. Organized Two Days Orientation and Scholarship Distribution Programme to the Selected Meritorious Students under Social Science Talent Search Scheme (SSTSS), a joint collaborative programme of the Institute for Social and Economic Change, Bangalore University and Christ University, Bengaluru at ISEC, Bengaluru on August 29 – 30, 2015. Organized and conducted the SSTSS Examination in 20 Centres of Bangalore Division as a joint undertaking of ISEC, Bangalore University and Christ University, on February 1, 2015. Organized Two Days Orientation and Scholarship Distribution Programme to the Selected Students under Social Science Talent Search Scheme (SSTSS), a joint venture programme of the Institute for Social and Economic Change, Bangalore University and Christ University Bangalore at ISEC, Bangalore on January 10 – 11, 2015. Organized Two Days Orientation and Scholarship Distribution Programme to the Selected Students under Social Science Talent Search Scheme (SSTSS), a joint venture programme of the Institute for Social and Economic Change, Bangalore University and Christ University Bangalore at ISEC, Bangalore on August 23 – 24, 2014. Co-ordinated Two Week Faculty Development Course on “Contemporary Themes in Theory and Practice in the Social Sciences”, under the Fostering Linkages in Academic Innovation and Research (FLAIR), initiative of Government of Kerala, during February 03-14, 2014 organized by the Centre for Human Resource Development (CHRD) of the Institute for Social and Economic Change (ISEC), Nagarabhavi P. O., Bangalore – 560 072 (with Dr. Padma M. Sarangapani). Organized and conducted the SSTSS Examination in 20 Centres of Bangalore Division as a joint undertaking of ISEC, Bangalore University and Christ University, on February 2, 2014. Organized Two Days Orientation and Scholarship Distribution Programme to the Selected Students under Social Science Talent Search Scheme (SSTSS), a joint venture programme of the Institute for Social and Economic Change, Bangalore University and Christ University Bangalore at ISEC, Bangalore on January 11 – 12, 2014. Conducted Training for the Filed Investigators for Project SSA: Ist Phase of SSA in Mandya, Coorg, Udupi and Raichur District on November 15-26, 2013 at ISEC, Bangalore (with Dr. Padma M. Sarangapani, Dr. K. S. Umamani and Dr. Indrajit Bairagya). Organized Two Days Orientation and Scholarship Distribution Programme to the Selected Students under Social Science Talent Search Scheme (SSTSS), a joint venture programme of the Institute for Social and Economic Change, Bangalore University and Christ University Bangalore at ISEC, Bangalore on August 17 – 18, 2013. Co-ordinated the ‘ICSSR Sponsored Orientation Programme for Research Scholars and Faculty Members’ from various Universities/ Degree Colleges in Karnataka belonging to Scheduled Castes and Other Marginalized Groups under SC Component Plan at the Institute for Social and Economic Change (ISEC), Nagarabhavi P. O., Bangalore – 560 072, during June 24-28, 2013. Co-ordinated the ‘ICSSR Sponsored Capacity Building Programme for Social Science Faculty (SCs)’ for faculty members from various Degree Colleges/Universities within and outside Karnataka belonging to Scheduled Castes/Scheduled Tribes and Other Backward Castes (OBC) at the Institute for Social and Economic Change (ISEC), Nagarabhavi P. O., Bangalore – 560 072, during May 20-June 02, 2013. Co-ordinated the ‘ICSSR Sponsored Capacity Building Programme for Social Science Faculty’ for faculty members from various Degree Colleges/Universities within and outside Karnataka belonging to Scheduled Castes/Scheduled Tribes, Other Backward Castes (OBC) and Minority Communities at the Institute for Social and Economic Change (ISEC), Nagarabhavi P. O., Bangalore – 560 072, during May 06-19, 2013 (with Prof. R. S. Deshpande). Co-ordinated the ‘ICSSR Sponsored Research Methodology Course in Social Sciences’ for young Ph. D. Scholars/Researchers and Faculty members from Scheduled Castes and Scheduled Tribes Categories at the Institute for Social and Economic Change (ISEC), Nagarabhavi P. O., Bangalore – 560 072, during March 11-20, 2013 (with Prof. Manohar Yadav). Organized and conducted the SSTSS Examination in 12 Centres of Bangalore Division as a joint undertaking of ISEC, Bangalore University and Christ University, on February 3, 2013 (with Dr. K. G. Gayathri Devi). Organized and conducted Orientation for two batches of participants in the ‘ICSSR Sponsored Capacity Building Programme in Social Science Research Methods’ for young Ph. D. Scholars/Researchers and Faculty members from Scheduled Castes and Scheduled Tribes Categories at the Institute for Social and Economic Change (ISEC), Nagarabhavi P. O., Bangalore – 560 072, during February 7-16, 2013 and February 18-27, 2013 (with Dr. K. G. Gayathri Devi). Organized Two Days Orientation and Scholarship Distribution Programme to the Selected Students under Social Science Talent Search Scheme (SSTSS), a joint venture programme of the Institute for Social and Economic Change, Bangalore University and Christ University Bangalore at ISEC, Bangalore on January 5 – 6, 2013, (with Dr. K. G. Gayathri Devi). Organized Two days Meeting with H’ble VCs and their Faculties of Karnataka University, Dharwad and Rani Chennamma University, Belgaum on November 21 – 22, 2012 for Promotional Programme of Social Science Talent Search Scheme (SSTSS) in their University jurisdiction (with Prof. R. S. Deshpande, Prof. H. K. Moulesh and Dr. K. G. Gayathridevi). Organized Two days Orientation and Scholarship Distribution Programme on August 25 – 26, 2012 at ISEC for both batches of successful students from 5 districts of Bangalore Division. Lectures were organized by eminent resource persons on social sciences and vocational courses. The programme was inaugurated by Dr. N. Prabhu Dev, Hon’ble V. C. of Bangalore University and presided over by Dr. R. S. Deshpande, Director, ISEC. 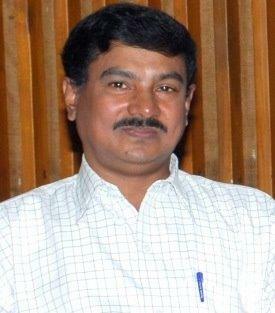 Prof. B. C. Mylarappa, Registrar, Bangalore University, was the chief quest. 59 students participated in the orientation. The valedictory session was held with Sri. Mattur, Joint Director, PU Education, Government of Karnataka as the chief quest. Prof. Siddananda, Prof. H. K Moulesh, Dr. Rev. Fr. Sebastian, Vice – Principal of the Christ University’s PU College, Dr. Parinitha and Collaborators were present. The programme was co-ordinated by me along with Dr. K. G. Gayathri Devi. Co-ordinated an Orientation Programme for “IAS & IPS Probationers of 2010 Batch of Karnataka Cadre” from May 14 – 18, 2012 at ISEC, (with Dr. K. G. Gayathri Devi). Co-ordinated the “Certificate Course in Methods and Applications in Social Science Research (CCMASSR)” from May 14 – 25, 2012 at ISEC, (with Dr. K. G. Gayathri Devi). Organised half a days Scholarship Distribution function for Meritorious Students under Social Science Talent Search Scheme (SSTSS) a joint venture of Institute for Social and Economic Change, Bangalore University and Christ University, Bangalore at ISEC, Bangalore on January 27, 2012, (with Dr. K. G. Gayathri Devi). Co-ordinated the “Certificate Course in Methods and Applications in Social Science Research (CCMASSR)” from November 14 – 25, 2011 at ISEC, (with Dr. K. G. Gayathri Devi). Organized Two Days Orientation Programme to the Selected Students under Social Science Talent Search Scheme (SSTSS), a joint venture programme of the Institute for Social and Economic Change, Bangalore University and Christ University Bangalore at ISEC, Bangalore on August 6 – 7, 2011, (with Dr. K. G. Gayathri Devi). Member, Indian Association for the Study of Population c/o Institute of Economic Growth, Delhi University Campus, Delhi – 110 007, India. Member, Board of Examiners for UG/PG in Rural Development, Bangalore University, Bangalore.